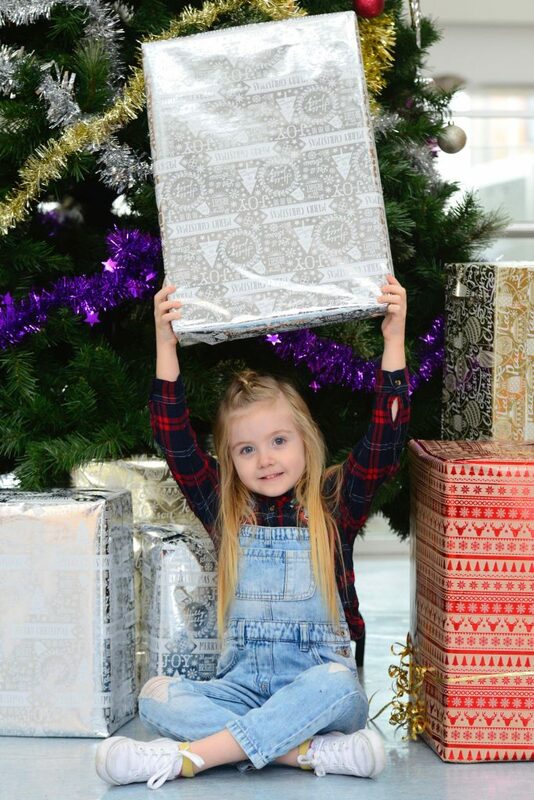 A little girl who was born with seven holes in her heart and spent every Christmas in hospital is finally spending her first Christmas at home with her family – but has begged her mum to let her go back and deliver presents to poorly kids. 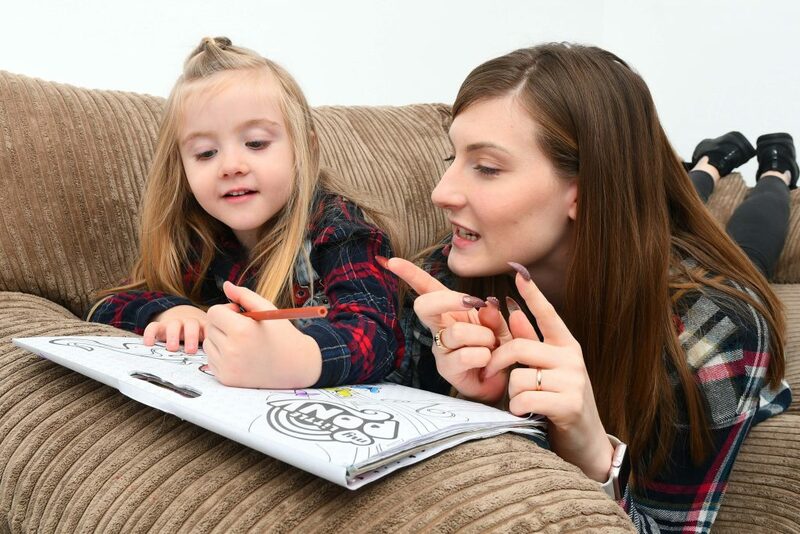 But when mum Chloe Greatrex, 24, asked her daughter Lily, four, how she would like to spend her first Christmas back at home she told her she wanted to go back to the hospital. 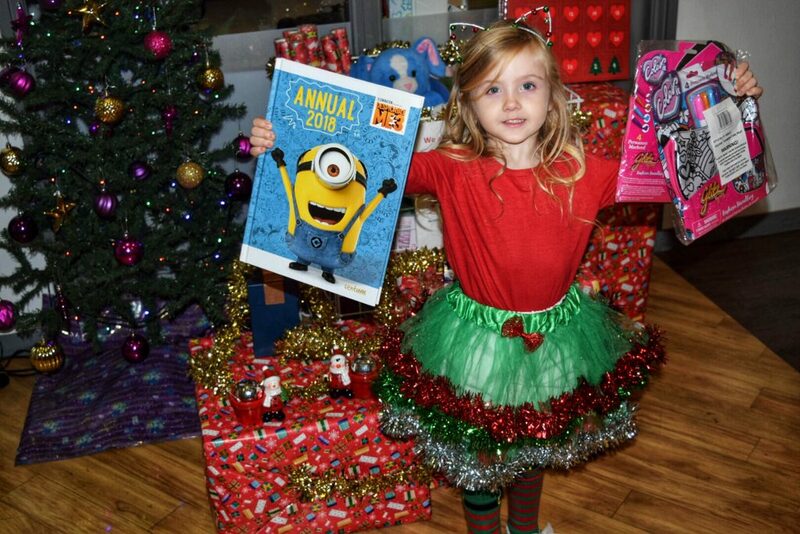 Little Chloe, from Norwich, Norfolk, wanted to collect as many presents as possible for patients at her the Norfolk and Norwich University hospital to cheer them up on Christmas day and has now collected over 1,000 gifts. 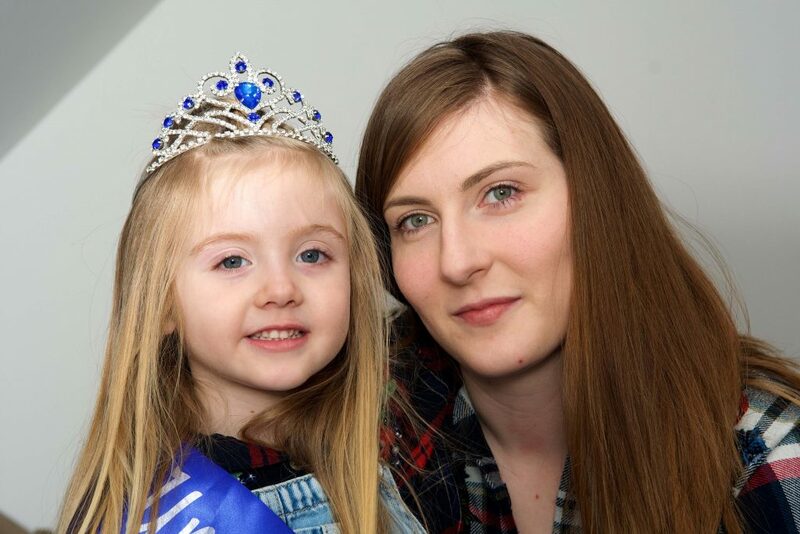 Mum, Chloe said: “I couldn’t believe it when she told me she would like to go back to the hospital for Christmas. “She told me she wanted to help the other poorly people and that she wanted to be like Santa’s little helper. “A first it started small with family and friends donating toys and presents but after she entered a competition to become the face of our local shopping centre more people started donating. Lily was born with seven holes her heart and was only a few days old when she had her first heart surgery at Valencia hospital, Spain. Chloe, who works as a hairdresser, said: “When she was born she had blue lips and yellow skin but the doctors told us she had Jaundice. “We took her home but she never seemed to recover and when we took her back to A&E they discovered she has seven holes in her heart. After further operations, Lily is living a normal, attending regular check-ups, eating a vegan diet and having regular sessions with a personal trainer. The family travels the world on tours with dad, Sergio, 27, a professional golfer, often spending time in the US, Canada and Spain for months at a time. Lily also suffers from a low immune system, which means she has spent her first three Christmas’ in hospitals around the world including Seattle hospital, Valencia hospital and Torrevieja hospital, in Spain. 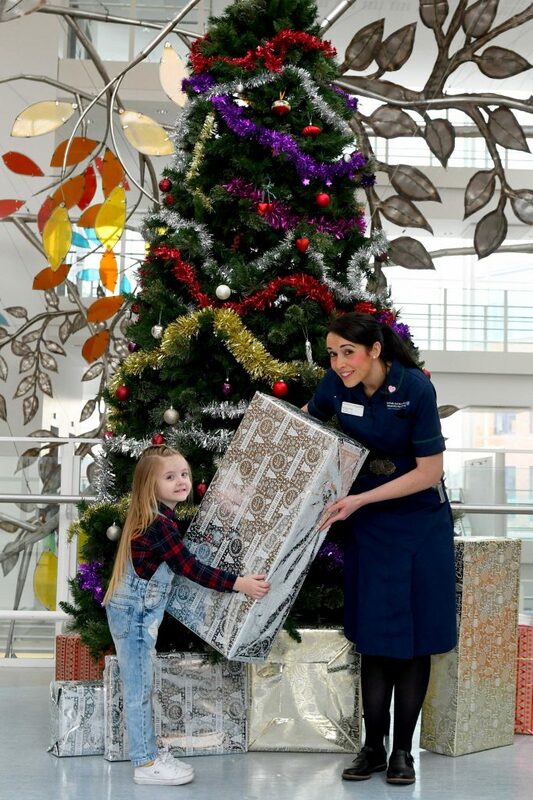 Chloe said: “When she was in hospital we tried to make Christmas as special as we could but it was really difficult. “We would watch Christmas films on an IPad and the staff would play music and dress-up. 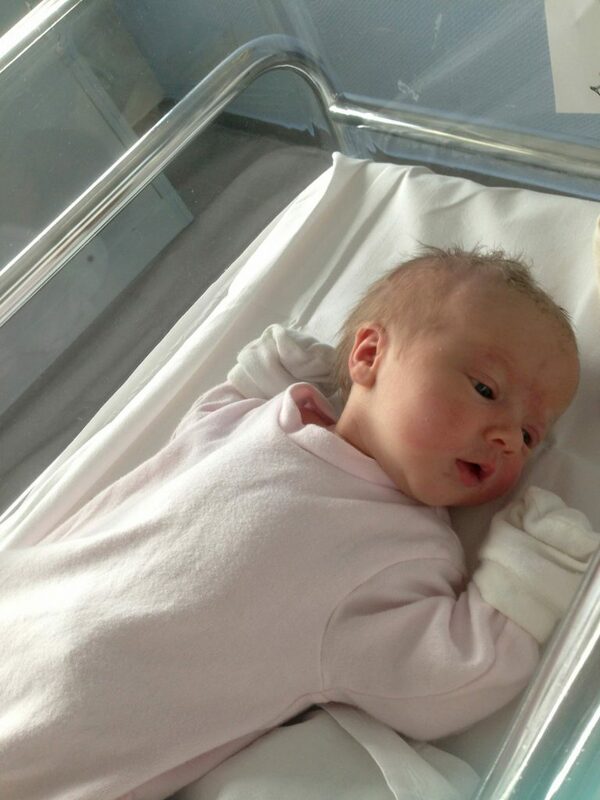 “Last year Lily had gastroenteritis’s and she was vomiting so many doctors were worried about internal bleeding. Lily, who won the Miss Norfolk competition also went on to be crown Miss UK Angel, for her amazing charity work, including giving out warm clothes and duvets to homeless people on the Streets of Norwich. Chloe said: “She hasn’t asked for a single thing this Christmas and she told me to tell Santa that she would be helping him visit the people in the hospital this year because he might not know where they all lived. “She first started collecting hats for newborn babies and then it spread to toys for the children, nail polish and make-up sets for teens and even socks and hot water bottles for older people.